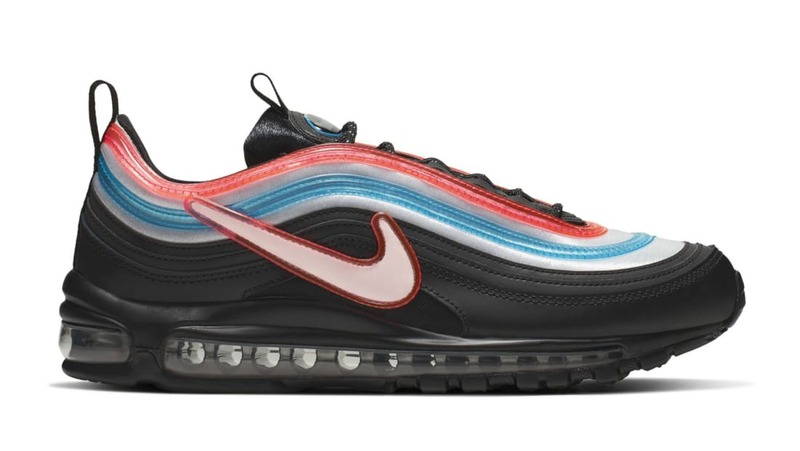 Nike Nike Air Max 97 On Air "Neon Seoul"
As part of Nike's "On Air" contest, designer Gwang Shin's Nike Air Max 97 "Neon Seoul" will feature a black leather upper that's paired with vibrant red and blue piping around surrounding the silver neoprene underlays. Additional details include an oversized reflective Swoosh logo on the lateral side and the Seoul branding on the tongue. Release date is Apr. 13 2019, at a retail price of $200.